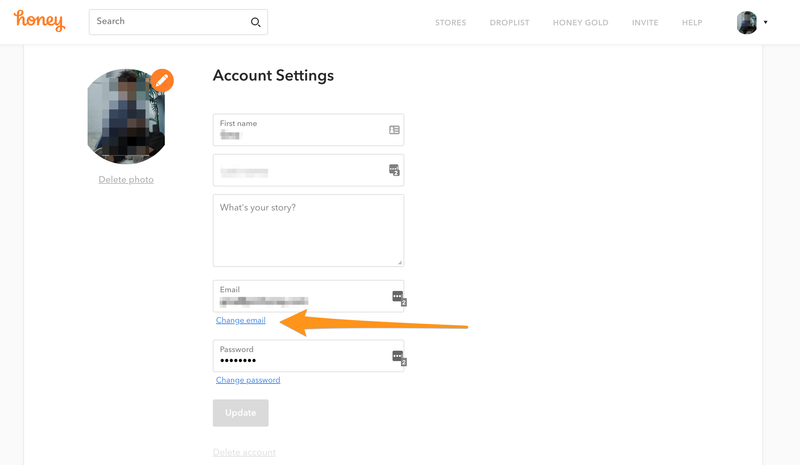 You can update your Honey account email address from your Account Settings page. 2) Click Send change email link. 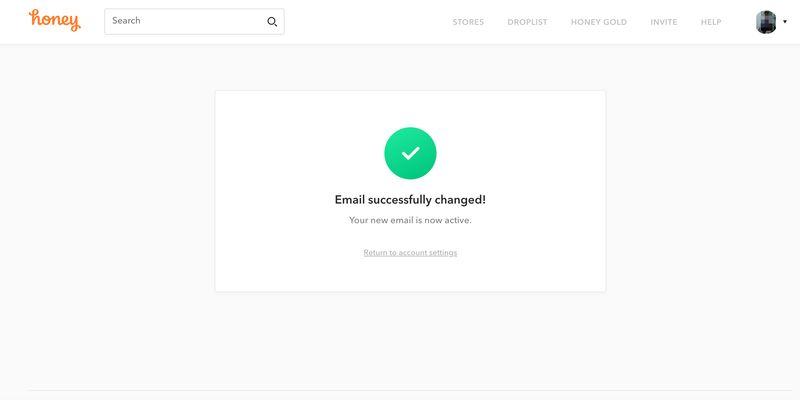 3) This screen will prompt you to check your email so you can update the email address. 4) Once you receive an email from us, click Change my email. Didn't receive an email? Make sure to check your spam and junk folders. If you still don't see it, please contact us. 5) Once you reach this page, you current email address will be in the first box. 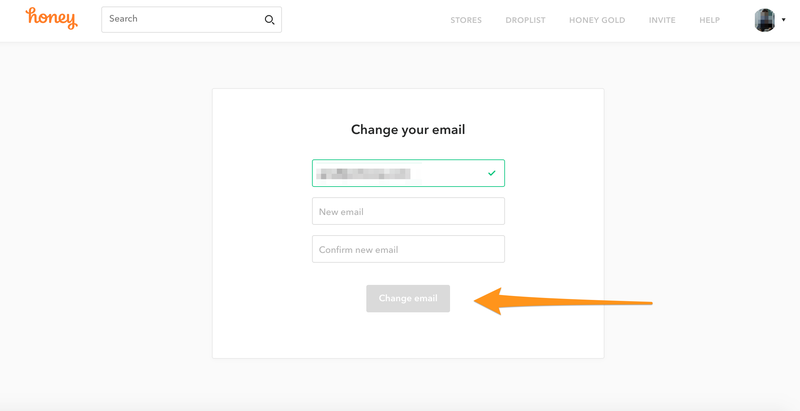 You will enter in your new email address in the second box and then re-enter it in the third box. Click Change email to confirm the update. 6) You account email address has now been successfully updated! 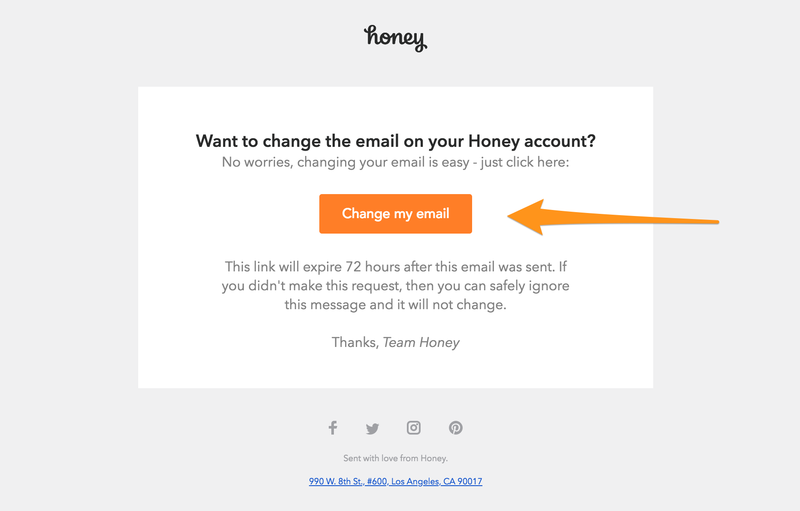 If you don’t have access to the email address that is currently associated with your Honey account, contact us with the email address you currently have associated with Honey, as well as the email address you would like to use instead. If you have more than one account with Honey, we can help you merge all of your accounts into one!